Discount on all Kymco products over 250 cc. See your local dealer for details. 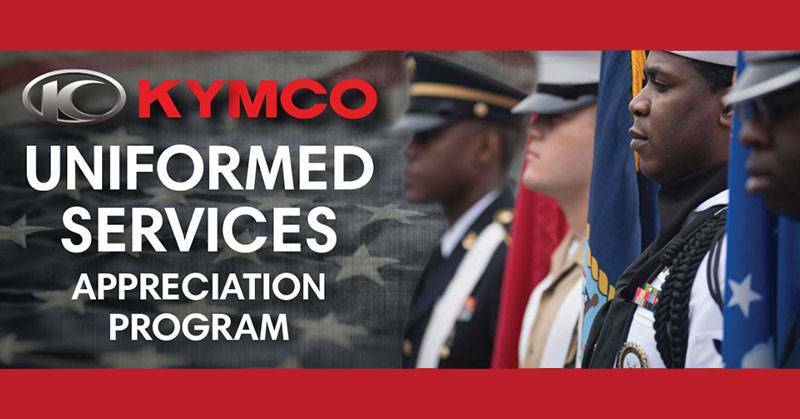 Federal, state and local uniformed service members will receive a $250 discount on any scooter, ATV or UTV over 250cc purchased between April 1st, 2019 and June 30th, 2019. This includes all active, retired, and honorably discharged personnel from the Armed Forces, Law Enforcement, and Firemen.